“Horror in the West” is a horror anthology featuring eleven stories that combine the mysticism of the Old West with demons, zombies, aliens, and blood-curdling storytelling. A man who cannot be killed by the hangman’s noose, alien cattle-drives for human flesh, demon-slaying bounty hunters – all of these stories can be found here. 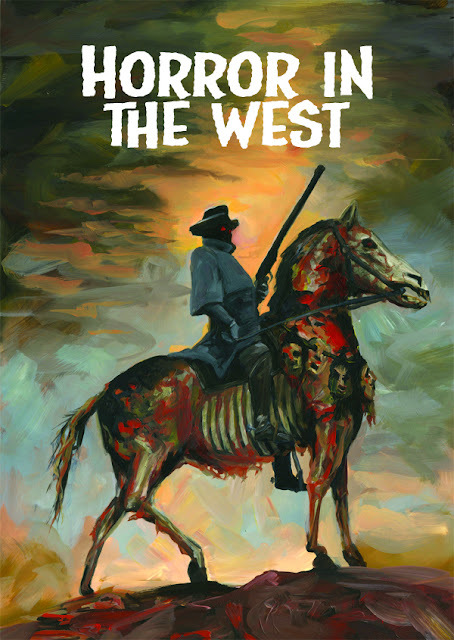 “Horror in the West” will take you by the reigns and drive you straight over the edge! 112 PAGES, Black & White, Mature Readers.